Add your favorite photo filters to OneDrive images, edit documents on your Android and let OneDrive AutoSync to upload into your OneDrive automatically. Edit files locally, and get saved to your Microsoft OneDrive account. 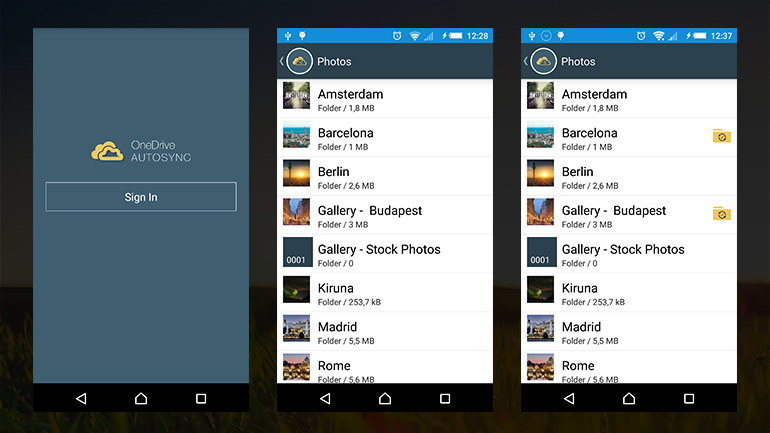 Integrate OneDrive Photos in your Android Photo Library. Keep your files synchronized with Microsoft OneDrive automatically. Download OneDrive folders to Android device, and let OneDrive AutoSync to watch for changes, and keep your folder up-to-date.